Imagine this you go to school and everyone asks you what you want to be when you grow up. For me it was a simple choice, being in high school, I worked for a photo store back in 1978 and into 1980 after graduating, I followed my passion for the art of photography. Back then it was all film and you really needed to know the technicality of a camera in order to get a great image. Now 17 years later by living in one of the friendliest places in our Holy City Of Charleston, Sc, I am very proud and honored to say that I am a Wedding photographer in Charleston, SC. It is images like this that make my wedding photography unique and different. You see in today world when scrolling through various wedding photography websites many clients often get confused on one versus another. 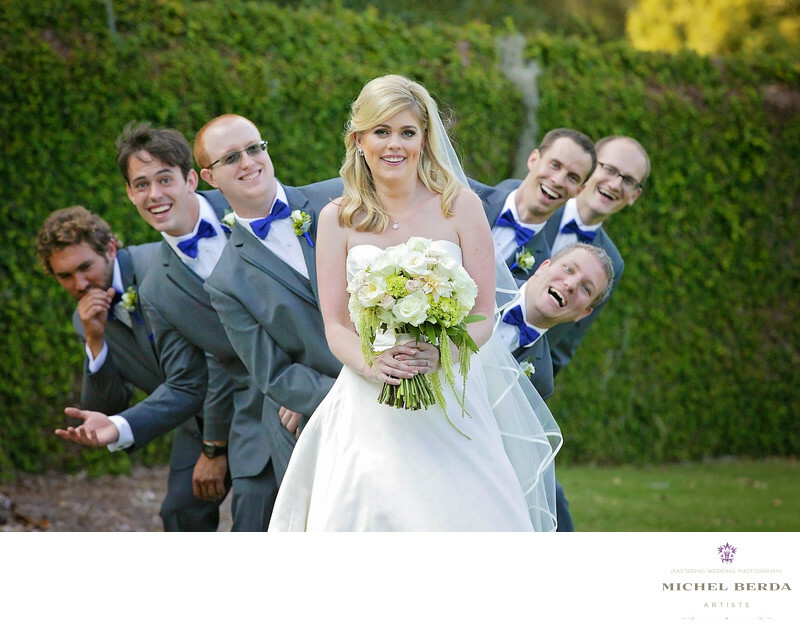 I am very blessed as a Wedding photographer Charleston, SC because my clients know that I am a master artist, that I can pose a client like this bride and her groomsmen and create a compelling fun image, not like the same standard formal photo most brides and groom look at. Wedding photography for me is always about my many years of knowledge and the want to capture the emotion, romance, and fun for every wedding for my clients. Keywords: Charleston (1179), dunes west golf and river club (3), dunes west golf and river club wedding photographer (3), Holy City wedding photography (3), Michel Berda (1140), mount pleasant sc (9), mountpleasant wedding photographer (3), photographer (1125), Wedding Photographer (1254), wedding photographer Charleston (9), wedding photographer in mount pleasant sc (3), weddings at dunes west golf and river club (3).